Politics | War criminal? Welcome to the UK! Why is the government changing the law to make it safer for suspected war criminals to visit Britain? Author and journalist David Cronin, who unsuccessfully tried to arrest Tony Blair and Avigdor Liebrman for war crimes, says these changes must be stopped. I never wanted to be a policeman, so it’s still a novelty when a friend greets me with the question “Did you arrest anyone lately?”. Without owning a pair of handcuffs, I have tried to bring two political figures to justice. 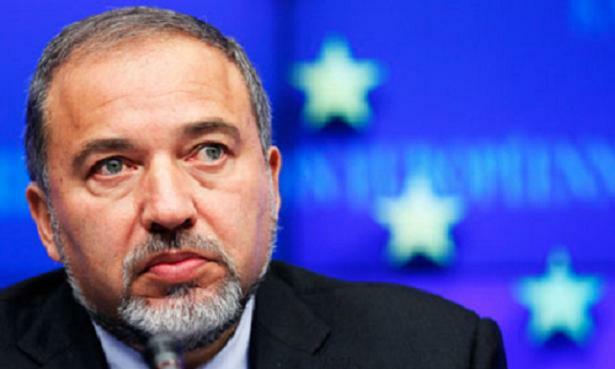 In February 2011, I invited Avigdor Lieberman to accompany me to a police station, where I had hoped the Israeli foreign minister would be charged with the crime of apartheid. One year earlier, I placed my hand on Tony Blair’s arm and accused him of starting an illegal war against Iraq. The first time that I heard of an activist trying to arrest a politician was about 10 years ago when Peter Tatchell confronted Robert Mugabe over the torture of homosexuals in Zimbabwe. While the likelihood of the tactic actually leading to a prosecution is minuscule, it can have a significant impact on public opinion. I am especially pleased that my action against Lieberman led to Israel being described as an apartheid state in many publications. It is seldom that the words “Israel” and “apartheid” can be read in the same sentence in the mainstream press. Nick Clegg’s opportunism offers a nauseating case in point. While in opposition, Clegg wrote an opinion piece for The Guardian in January 2009, urging the then Labour government to “condemn unambiguously Israel’s tactics” against the people of Gaza and to impose an embargo on weapons sales to Israel. Fitzsimons is wrong to be smug. A campaign of boycott, divestment and sanctions (BDS), coupled with mass public awareness, helped isolate South Africa during the apartheid era and eventually put an end to white minority rule. There is no reason why BDS cannot also bring down Israeli apartheid as it is designed to put economic pressure on those institutions and companies that profit from the pain of the Palestinians. Once they realise that the occupation of Palestine is bad for business, Israel and its supporters will have to sit up and take notice. David Cornin is an author, journalist and political activist. « Previous: Shawerma Republic It’s a ducking euphemism! David Cronin is a very vocal activist, but unfortunately, his views are somewhat obscured by hatered and narrow-mindedness. His pet hatred of anything remotely connected to Israel has led him to extremism which, in the end, does not serve his own cause, let alone universal values of tolerance and equality. Israel has in the past, and is in the preset, carrying out many policies that are objectionable, undemocratic and oppressive, and which cause much suffering and humiliation internally, as well as antagonism externally. These policies, without condoning them, did not come about in a vacuum. To change them, it will be necessary to start a gradual change in the social context within which the conflict is thriving. The social context cannot be changed for the better using armed struggle, or inflamitory talk, or boycots. What is needed is the kind of positive talk that creates joint innitiatives. People working together on music, art or theatre projects, educational programmes, financial startups, will in turn force the leadership to follow. Excellent piece and it’s commendable that you have put yourself on the line to try and bring Lieberman and Blair to justice. 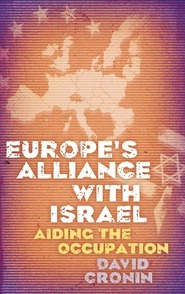 The existence of Israel as a state which denies certain rights, priveliges and entitlements to the indigenous people of the territory and bestows them upon people of foreign origin who have, for the most part, settled the land in the past century, is the fundamental sticking point and the reason the conflict is prolonged. We can talk about specific policies here and there until the cows come home, but until the laws regulating property and land ownership according to ethno-religious identity exist, you will have an apartheid state in Palestine. Tolerance and equality may be universal values to some people, but if they were allowed to reign in Israel, the Zionist state would cease to exist overnight. The source of the problem is the 1947 partition plan by the British and the UN. The plan was good on paper but had little chance of success from the start. Between 1948 and 1967, Jewish Palestinians, now rebranded Israelis, were busy developing a successful nation-state, as well as defending themselves from constant attack (not from the indigenous Muslim Palestinians, but from neighboring countries). The Muslim Palestinians were not so busy developing a growing nation, but rather defining their new national identity, whilst living as part of Jordan and Egypt. After 1967 and following further attacks by Jordan, Egypt and Syria, Israel pushed the attacking armies back and took control over the West Bank and the Gaza strip. Now, the Muslim Palestinians were under yet another rule (following the Ottomans, the British and then the Jordanians and the Egyptians). It is the violent struggle that followed, intensifying greatly after 1987, that prompted Israel to make its worst mistake to date of repeatedly increasing oppression and reducing Palestinian personal and national rights. The Muslim Palestinians are looking at the many successes of the Jewish Israeli state and rightly wanting some of that for themselves too. Do you thinkg there would have been this struggle if Israel were unsuccessful in building a thriving economy in a developed state? The solution therefore is to simultanuously reduce the violent struggle and increase equality and freedom (and therefore quality of life) to a point where the two populations themselves can decide whether they wish to live side by side, or sharing a land.